Laura Lee Smith has been called an “enchanter casting her spell with lyrical prose,” and her first novel perfectly exemplifies this praise. 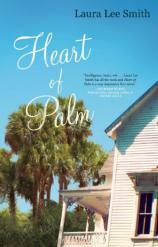 HEART OF PALM tells the story of the Bravo family living in Utina, Florida, right before the tide of development rocks the small town. When things start to change, the family has to face not only an uncertain future, but also a tragic past. In this interview with Bookreporter.com’s Alexis Burling, Smith discusses her brilliant use of dialect, her inspiration for the town of Utina, and how to handle rejection with perseverance. She also touches on point of view, survivor’s guilt and emotional attachment to objects, which are all important aspects of her debut. Bookreporter.com: The southern dialect really sings throughout HEART OF PALM. Having lived in the South for a few years myself, it was comforting to read some of the typically southern expressions (“fanny,” “Good lord,” and “Hooo-doggy!” to list a few). Some authors find it difficult to write dialogue, but yours seems to flow naturally. Was writing this dialogue easy for you? Laura Lee Smith: Well, I’m glad you think it sounds natural. I was concerned about that. I did not want to write overtly stylized dialect. I tried to stay away from “y’all” and “fixin’” and the like as much as possible. Even though the Bravos are a Southern family, I did not want them to be caricatures. Dean does tend to use stronger dialect, but then he is the most “Southern.” Arla and her children feel the influence of her Connecticut parents. For example, the Bravos say “Mom” and “Dad” and not “Mama” and “Daddy.” For the most part, I tried to construct region-specific phrasings and rhythms rather than use phonetic dialect. And I definitely tried to stay away from dialect in a character’s interior thoughts. It seemed contrived to have a character “sound” Southern when he or she was not even speaking. BRC: HEART OF PALM is set in Utina, in northern Florida. You currently reside in Florida. Have you always lived there, or are there other environs that influenced the book’s setting? LLS: I’ve lived in several different parts of Florida since I was 11 years old, though I was born in New Jersey. As a teenager, I lived in Lake Worth, in Palm Beach County. I then lived in Gainesville in central Florida and later in Atlantic Beach before relocating here to St. Augustine, which I now consider my (permanent?) home. Living in these diverse Florida locales taught me quite a bit about the state and about how the cultural tics of Florida’s residents, not to mention the landscape and climate, vary from region to region. Under all those Florida experiences, though, simmers a certain New Jersey swagger, and I’m actually rather proud of that. BRC: Many of the chapters in HEART OF PALM are narrated from a different character’s perspective: Arla’s, Elizabeth’s, Frank’s, and so on. Did you find jumping inside the head of one character to be easier than the others? Was one character more difficult? LLS: Originally this story belonged only to Arla and Frank. They were the point-of-view characters, and my initial plan was to alternate chapters and let them each tell the story from their different perspectives. But as the drafts progressed, other characters were clamoring to be heard. In the end, we hear from all the Bravos, even daughter-in-law Elizabeth. Dean’s voice is the most restricted. We get inside his head only once, in a short chapter right after he suffers a devastating loss. But I really wanted to hear from him; I wanted readers to see him as a redeemable character, someone as shattered by early hardships as the rest of the Bravos. It was not really difficult to get inside the other characters’ heads, once I understood what their motivations were and how they related to each other. It felt very natural to let them speak. BRC: There are many places, in America at least, that are “on their way to something else” as you describe Utina in HEART OF PALM. But after developers cycle through, condos are built, Starbucks move in, people tend to look backward with nostalgia and call the old days “authentic.” Why are we so attracted to and yet afraid of change, and how did that constant push and pull influence you in writing this book? LLS: It’s hard to give up the familiar. There were places and homes that were very important to me in younger years, but those places have changed and some of the homes have even been torn down or irrevocably renovated. My grandmother’s house, which was the inspiration for Aberdeen, is one example. Florida is another. We have some of the fastest-growing counties in the nation here. I’ve seen many hearts broken over streets, neighborhoods, even whole towns that have changed with the tide of inevitable development. But I’ve learned that you have to be able to move on. In 2004, we had four hurricanes hit Florida, one right after the other. At the time, my father was living on a boat, and one of the hurricanes sunk his boat. He lost everything, including personal records, photographs, and an heirloom guitar that had belonged to his father, but my dad is still trucking. Change was forced upon him and he survived. That’s how it is sometimes. I think these types of changes and losses are a big part of my memory; maybe that’s why I explored them in the novel. Plus, there is that paradox: I don’t want to see trees cut down. But once the Starbucks is there, will I use it? Maybe. BRC: When Arla and Dean first move to Aberdeen, Arla stumbles on Drusilla’s gravestone in the woods. During one of her “talks” with Drusilla, she wonders aloud about “what she’d loved and what she’d lost and about why they always had to be the same things.” I love that sentiment. Explain what you had in mind when you wrote that sentence. LLS: Arla has had some tough breaks. All she ever wanted was a traditional family, and for a while she had one. But then circumstances conspired against her, and she began to lose people --- some to death, some to alcohol, some to grief and resentment. And then the house --- Aberdeen --- which is her safety and her comfort, is threatened. She feels the rug being pulled out from under her, but Arla has a very candid, matter-of-fact way of dealing with things. She’s articulating her fears to Drusilla, but she’s accepting the coming changes at the same time. BRC: Without giving too much away, it’s safe to say that each character in HEART OF PALM is flawed in some way --- some more so than others. Yet even Dean and Carson have endearing qualities; even they put their loved ones’ interests ahead of their own. How do you hope readers will react to these two characters? LLS: I think in any family there are people who are flawed --- some are more flawed than others. I know that’s true in my own extended family. But I also know that family ties can be extraordinarily strong. As exasperating and infuriating as people can be, when the chips are down we stand up for each other and hang on to the bitter end. I’ve been lucky to have had a family that models this. I hope readers will see their own family members in these characters. I hope they will even see themselves. And I hope they will see that you can forgive those who have wronged you --- and you can forgive yourself --- more than you thought you could. BRC: At one point, Arla says of Dean, “He’d been a bitter medicine. But he’d brought her to herself, made her what she was today, for better or for worse… Was she better or was she worse?” What was in your mind when crafting the long arc of Arla’s and Dean’s relationship? LLS: First, let me say that I truly love Arla Bravo. I never knew I could create a fictional character that I would come to care about so much, but it happened. She has been changed enormously by the circumstances that have shaped her life, but there is a core strength and confidence to her that has never changed. Arla and Dean were terrible for each other, but they loved each other deeply and in some ways they still do. She’s better for having loved Dean. And she’s worse. BRC: The night Will dies, there are many characters who could --- and do --- hold themselves responsible: Dean, Carson, Frank, even Will. But in many ways, it was also just an accident --- just kids being kids. Would you agree? LLS: Yes, that’s exactly what it was. Kids being kids. Drunks being drunks. I don’t hold any character solely responsible for Will’s death. It was a perfect storm of tragic circumstances. Carson, Frank, Will and Dean were all enormously stupid that night. That’s why they can never forgive themselves. The death could have been avoided. Whenever I see a news story about a stupid accident like Will’s, I feel sick. The first tragedy is the death. The second is the inevitable sense of blame that will surround the survivors for the rest of their lives. None of them will ever be the same. BRC: Arla can be described as stubborn, abandoned, reclusive, and fearful of change. But she’s also fiercely strong --- the rock of the family. Who or what inspired Arla’s character? LLS: I have had several very strong matriarchal figures in my family. My grandmother had five boys and lived in a big house like Aberdeen, but Arla is not my grandmother. They are very different women. Arla is really a composite of many of the maternal figures I’ve loved. And since I am a mother myself, I think I put quite a bit of myself into her, at least as far as the desperately protective love she has for her children. I know what that feels like. BRC: Throughout the book, objects often symbolize something larger than themselves --- the old Steinway, for example, Drusilla’s gravestone, even Aberdeen. Might you talk about the power of objects in your writing? LLS: I think people often get unduly attached to objects, and these objects can impede us from movement --- as when the old Steinway is stuck in the hallway, for example. I don’t think I set out to make any particular object symbolic of a specific theme or idea, but I just filled the house, the restaurant, and the town with the things the Bravos would naturally have around them, and then I tried to make sure that the physical things in the environment were present in each scene. Sometimes they presented surprising opportunities for developing movement or conflict. BRC: HEART OF PALM is fluidly plotted from start to finish. I enjoyed how some elements woven in at the beginning were resolved or brought back at the end (for example, Drusilla’s gravestone). When you started writing, did you have the story mapped out from the get go, or did the characters’ lives unfold as you kept writing? LLS: Definitely the latter! I’m a very organized person and I would have loved to be able to map out the story from the beginning and keep a tight handle on development, but it just didn’t happen that way. The story evolved organically, and I often found myself jumping forward and backward through the manuscript to develop new opportunities that arose along the way. It was a very messy, unpredictable process. BRC: I read on your blog that you keep a rejection file, including an Excel spreadsheet! Explain the motivation behind this. LLS: Well, I decided a long time ago to simply keep going, no matter what. I’ve seen many writers hang it up because rejection can be so hard to take. You pour passion and effort into something and send it off to an editor, and it’s rejected. That’s a punch in the gut. The only way around it is to make it work for you. I keep an Excel spreadsheet of my rejections because I can track exactly where my stories are at any given time, and I can make sure that if a story is rejected one place, I turn around and send it someplace else. If it’s rejected repeatedly, I know I need to take another look at the story and find out what’s not working. So in other words, by taking such a dispassionate, businesslike approach (Excel! Blech!) to the process of submitting my work, I try to remove as much drama and hysteria as I can. Listen, not every editor is going to like every story you submit. Not every editor is even going to read every story you submit. Move on. BRC: HEART OF PALM is your debut novel. Congratulations! Was the publishing experience anything like you expected it to be? LLS: Thank you! The publishing experience was nothing like I expected it to be. It was infinitely better. 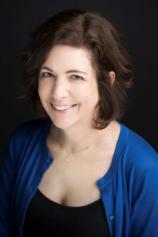 We’ve all heard horror stories of neglected authors, awful contracts, intrusive editing, etc. I have been lovingly cared for and supported every step of the way. My agent Judith Weber (Sobel Weber) and my editor Amy Hundley (Grove Press) are two of the most brilliant and graceful women I’ve ever known. I’m enormously grateful for the journey I’ve taken so far, and I wish every writer could have the same. BRC: In addition to writing this novel and a number of previously published short stories, you’re an advertising copywriter. How do these two types of writing complement each other (or compete with each other!) in your brain and daily writing routine? LLS: This is a great question; I’m so glad you asked it. The biggest benefit that my advertising job brings to my fiction writing is exposure to so many different types of people, different types of industries, different physical environments. As an advertising copywriter, I learn a little bit about a lot of things: I write about electronics and pharmaceuticals, about logistics and eyeglasses, about pianos and insurance. The copywriting gives me authentic experiences and real-life details that I can bring to my stories. Dean’s work as a boiler tech, Carson’s investment practice, Arla’s Steinway, Cryder’s development plans --- all of these things came through work I’ve done with different marketing clients through the years. As for my daily writing routine, it’s probably the same as for many writers: I get up early and write fiction. Then I work with clients through most of the day, although if I can grab an hour’s gap here and there, I try to think more about the stories I have in development. And then I read at night. There are never enough hours in the day. Like everyone, I just chip away. BRC: Who are your literary heroes? LLS: In no particular order, and this is certainly not a complete list, but…Barry Hannah, Richard Russo, Z.Z. Packer, Richard Ford, Jennifer Egan, William Trevor, Sherman Alexie, George Saunders, Alice Walker, Zora Neale Hurston, Larry Brown, Anne Tyler, Mary Gaitskill, Toni Morrison. BRC: What’s next for you? LLS: I’m working on a new novel. It’s set partially in Florida but also moves into Scotland for a bit, so of course there is quite a bit to play with in juxtaposing the extremes of those two places. After the long, circuitous process of writing HEART OF PALM, I swore that drafting the next novel would proceed in an orderly, A-to-Z, linear fashion. No such luck. It’s all over the place. Who was it that described the novel as a “loose baggy monster”? Henry James. That’s it. I just hope I can keep nipping and tucking until it has a more defined shape.